If you like a good scare, then an overnight stay in a haunted hotel could be the perfect way to spend a holiday! While some hotels revel in their hauntings and promote them to guests, others prefer not to advertise the fact that their guests could be sharing their room with an apparition or two. Thought to be one of Australia’s most haunted hotels, in the Jenolan Caves of New South Wales is reportedly haunted by James Wilburd, Jenolan’s third caretaker. Wilburd took care of Jenolan from 1903, and it’s said he chose not to leave. The caves and the hotel are said to be haunted, with various visitors snapping photos of strange apparitions, lights turning on and off by themselves, and gates rattling mysteriously. If they’re feeling brave, visitors can also take the Legends, Mysteries & Ghosts tour to learn more about the ghosties in the area. While Australia is lacking somewhat in famous haunted hotels, a trip round the United Kingdom could be a ghost-seeker’s dream. In Scotland, in Tulloch Castle, Dingwall, a guest in room eight claimed to have woken up unable to breathe, with the room icy and two girls sitting on his chest trying to suffocate him.Other guests claim to have seen a maid in the Pink Room and the Great Hall. Also in Scotland, the ghost of Lady Catherine supposedly haunts Dalhousie Castle, where she died from a broken heart. Hotel guests and staff say they have seen her wandering the hallways, scratching or tapping on doors, and have had the feeling of someone tapping their shoulder or pulling their hair. 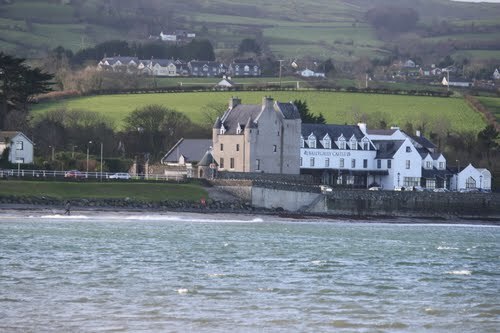 Ballygally Castle Hotel in Northern Ireland is also said to be haunted by a former lady of the house. In 1635, Isobella Shaw was locked in her room by her husband after giving birth to their son. Unfortunately, she fell to her death trying to escape out a window, and now haunts the castle looking for her son. Over in Wales, Skirrid Mountain Inn is said to be haunted by the ghosts of former convicts who were executed at the inn in 1110. Guests staying at the hotel have reported the feelingof ropes being tightened round their necks, with some even leaving with the scars to prove it! Where Australian hotels lack in hauntings, they make up for it in strangely themed lodgings. A hotel in Tasmania will soon open its doors, allowing guests to stay in an honest-to-goodness morgue. The former morgue in Willow Court will keep its original furnishings, meaning guests can sleep on the old autopsy table, or in the refrigerator storage trays. And if that’s not creepy enough, the hotel is on the site of an old mental asylum! 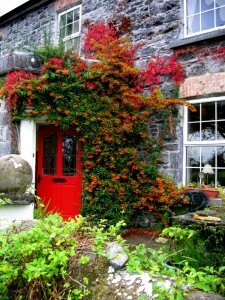 When traveling in Ireland for a longer period of time a self catering cottage is the best way to go. A home of your own can be a peaceful oasis with the chaos of traveling. It also gives you the chance to live like a local. You can learn more about a place from a grocery store than from a hundred historical sites. A trip through the grocery store not only tells you what people eat, or don’t as the case may be, but a lot more. In fact, one of the best things about shopping at a store in Ireland is the magazines. There are daily or weekly publications on everything from fashion to news, and celebrity to tabloids. Reading a daily newspaper is a great way to get a feeling for how different the place you are is from where you’re from. Another plus of getting a cottage is that it gives you a freedom you don’t have when staying in a hotel. Life in a hotel gives you the illusion of freedom and privacy, but on some level you’re at the whim of others. Maids come in and clean on their schedules and if you’re like me, you feel like you can’t leave the room a mess for the maid to see so you spend a half hour running around picking stuff up and making beds before you leave for the day. When you rent a self-catering property it is yours and while you shouldn't trash it obviously, you have a little more flexibility of how you leave things when you go out for only a short time. 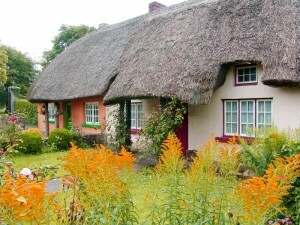 B & B’s are a big part of the lodging business in Ireland as well. These have pluses and minuses. One big plus is the standard Irish Breakfast which is the second B. This may be one of the best ways to start a day of sightseeing. It is also a great way to have to start buying bigger clothes. Another positive of the B& B is that, if you have a good hostess you can learn a lot about the area and maybe even learn about their life running a B & B. They can give you a chance to talk to a local about what Ireland is like for a person who lives in it. Given all the positives, it might sound as though a B & B is the way to go, but there are some negatives. B & B’s generally charge per person rather than per room. If you’re traveling with a large family that may end up being expensive. The final reason I personally prefer self-catering to B & B is that, no matter how nice, no matter how helpful and regardless of the fact that you’re paying, at times handsomely, for the privilege; you are still in someone else’s house. As a guest, even a paying one, you need to make sure you keep your voice down and that you aren’t coming and going in the middle of the night and generally try to behave in the manner of a polite house guest. 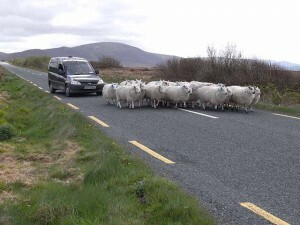 Ireland isn’t large, but the roads are sometimes one lane and crowded which makes travel more time consuming. This landscape makes a combination of lodging something that I have found works best. A centrally located self-catering property to use as a home base, and then an overnight stay here and there at either a local hotel or B & B. This gives you the chance to see the country without having to pack all of your belongings into the car every single day. Speaking as someone who tends to end up with too much stuff almost on arrival that sounds like the best reason of all. 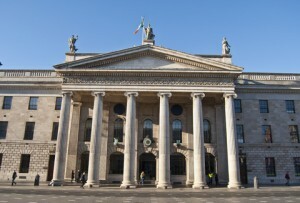 Have you any experiences of staying in Ireland? Visited other parts of Ireland? Do you have any advice or recommendations for our readers? County Kerry offers some of the most beautiful scenery in Ireland, including three renowned peninsulas that combine stunning views of the Atlantic Ocean, rocky mountains, and open green spaces. County Kerry is the fifth largest of Ireland’s 32 counties by area, and it is the 13th largest county by population. 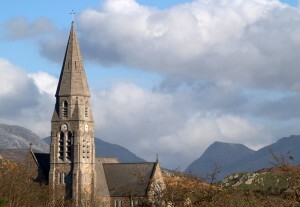 It includes Killarney, Dingle, and Tralee, and boasts a thriving traditional Irish culture, including a high population of residents who speak Gaelic. 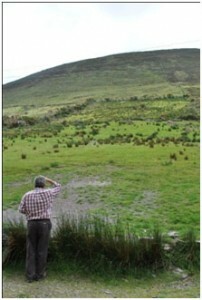 Visitors to Kerry must fly in to Shannon, which is about an hour north. Though there is an airport in Kerry, it is regional. However, visitors will be happy to rent a car, since it will enable them to really explore the rustic county and to take one of its three scenic drives: The Ring of Kerry, the Dingle Peninsula, or the Beara Peninsula. Those without a car will find it harder to get around, as public transportation is not widely available. The Ring of Kerry is one of the most popular routes, winding 170 km (110 miles) and passing through Kenmare, Sneem, Waterville, Cahersiveen and Killorglin. 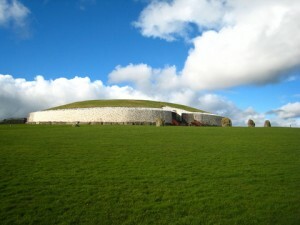 You can stop along the way and watch sheep herding demonstrations, buy a traditional Irish coffee, tour Iron Age forts, and visit old monasteries. Irish roads are notoriously narrow, often only wide enough for one car. When you find yourself fighting for road space with sheep or negotiating who will be on the road around a narrow mountain pass, the driving can be a bit stressful. Tour buses are available to pick you up from your hotel to drive the Ring, including stops and demonstrations along the way. Driving the Ring can take only a few hours if you drive straight through, but you should plan to spend a day to really enjoy the sights. 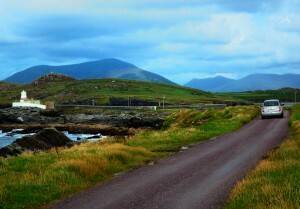 Hikers and cyclists can also enjoy the Ring through a pedestrian path known as “The Kerry Way.” Finishing the path can take a few days to a few weeks, depending on your pace. This is the second most popular scenic route in County Kerry, and it is a great route if you are short on time as it only stretches for 50 km (30 miles) from Tralee to Dunquin. 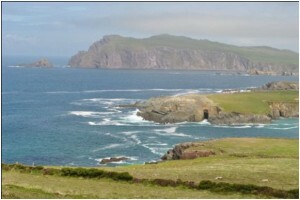 The western end of the peninsula, Dunmore Head, is the western-most point in Ireland (as well as Europe). 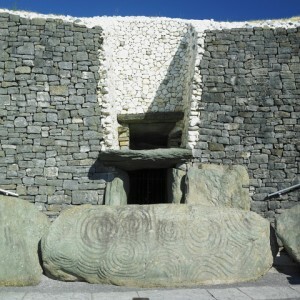 In addition to the beautiful scenic views, the Dingle Peninsula is also home to remains from the Mesolithic period and the Stone, Bronze, and Iron ages, as well as 8th century Gallarus Oratory and Beehive huts. Count Kerry is home to many other noteworthy destinations. The 25,000-acre Killarney National Park is Ireland’s first national park and includes the Gap of Dunloe, the breathtaking Lakes of Killarney, Ross Castle, and the Muckross House, a Victorian mansion known as one of Ireland’s most stately homes. Two of Ireland’s three highest mountains can also be found in Kerry, including Carrauntoohil in the Macgillycuddy’s Reeks range and Mount Brandon in the Slieve Mish range. Hiking, rock climbing, and cycling are all available. Just off the coast of Kerry are the Skellig Islands, which include Skellig Michael, a World Heritage site. There is 5th century monastic settlement 700 feet up on the cliff. 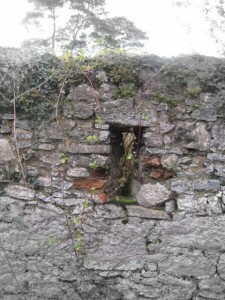 Finally, Kerry hosts several notable festivals each year, including Writer’s Week, Tralee’s Rose Festival, and the Puck Fair, in which a goat is crowned King Puck. Whether you enjoy beautiful scenery, fishing, quiet beaches, hiking, climbing or water sports, Kerry has something to offer. Bio: Maria Rainier is a freelance writer and blog junkie. She is currently a resident blogger at First in Education where she’s written on online science major programs along with online science administration programs. In her spare time, she enjoys yoga, playing piano, and working with origami. All pictures are authors personal work. They say that sometimes the journey is more important than the destination. I’m not sure just how true that is when the journey is taken late at night, in pitch blackness through a driving rain storm. Still I think that the awe we felt when we arrived in Clifden County Galway, was due at least in part to the road that brought us there. The high drama of the drive had contributed to the awe we felt at the very site of the place. After driving for what had seemed like hours through wind and rain like we had never experienced, on muddy roads that likely only were thought of as roads when they were dry. The night was dark. If we had turned off the car and the lights, we likely wouldn’t have been able to see our hands in front of our faces. We didn’t turn the car and lights off though. I’ve see the horror movies, that would just be asking for trouble. We were tired, hungry and none too happy with each other. Relations tend to become strained when one person is trying desperately to hold the car on the road, with a razor thin barrier keeping the car from the sea, and the other person feels it is their job to inform the driver what they’re doing wrong. 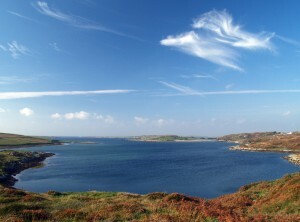 All things considered, our arrival in Clifden seemed like a gift from God. We had planned to go to Clifden, so getting there wasn’t a surprise, just another example of how distances are farther in Ireland. We started out in the late afternoon sunshine with directions, a map and a full tank of petrol. We arrived six hours later with frayed nerves muddy windows and fumes left in the tank. I can’t remember when I was happier to see a town rise up from nothing like Clifden did. A wise man once said, Even if any road you take will get you somewhere, many of them may cause you to question the wisdom of going there in the first place. Okay it wasn’t a wise man, it was me. Like many smaller Irish towns, Clifden was pretty well closed up at night and it was all of 8:45 when we arrived there. I was ecstatic to get a room at the hotel on the main street with a parking spot right in front and a restaurant pub across the street. The room we were given was four flights up under the eaves and was barely big enough for the two single beds and one night table that inhabited it. The requisite TV showing a rerun of Popular was attached on a metal arm that came out of the wall… The postage stamp window showed only blackness and I was happy as a clam to call it home for the next 12 hours or so. A word about the US TV show Popular; I think it was Sara Rue’s big break, and I saw all of one episode during its whole American run. Still for some reason, every place we stayed that trip got only two channels. One was RTE 1 or RTE 2 and the other was showing a Popular rerun. Come to think of it I may still have only seen one episode of the series; just over and over again. And foreign travel is supposed to broaden your horizons. Derry Sheridan sits on a slight rise above the shores of Lough Sheelin. If you had first visited the property 10 years ago, like I did, you would have driven down an avenue with so much foliage that the trees on either side met above the road creating a tunnel like atmosphere. This road is simply known as The Avenue, because in Ireland, no fancy names are needed. That first drive was almost like traveling into a storybook land like Brigadoon. For me it was like traveling back in time, a trip into my father’s past. See the house at the end of this fairy lane, Derry Sheridan, was where my daddy was born and where he grew up. This magical land was his backyard. As a child he walked to school through these fields. Like many kids my dad didn’t like to wear shoes in nice weather so each day he would kick them off and hide them in the bushes on the way to school and pick them up on the way home. One day as fate would have it, the shoes were gone when he came back. The first time I visited Derry it was on a trip guided by my reluctant aunt who had herself grown up in the house but felt no sense of nostalgia for it. To her is was far from town and isolated. She was a girl with dreams and a manor house in the middle of nowhere didn’t figure into those dreams. It’s kind of ironic really since my dreams as a child were always of Derry. I had grown up on stories of Derry. There were the mysterious lights on the Avenue that would appear out of nowhere to guide my dad and his brothers home when they were late, or on a particularly dark night. The first time they saw the lights they thought it was their father out looking for them, only to find him fast asleep when they reached the house. Like so many things in Ireland the lights were never explained but they fit somehow; ghosts of the past looking out for the living. The land Derry sits on fronts up to Lough Sheelin which is a well known Irish fishing spot in county Meath. In the middle of the lake sits Church Island, rumored to have once held a monastery at some time in the distant past. Church Island is a place to take a boat or even, for the particularly brave or hardy, a swim over to. A great spot for a picnic on one of Ireland’s rare sunny days. On my first visit to Derry the house was falling down but the wallpaper that my dad had seen on the walls of his childhood, while tattered, was still there. I took some of those pieces and brought them home to show my dad. He remembered the room where each piece had hung. 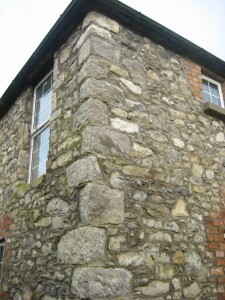 Now Derry has been renovated and someday may be a self catering cottage. It’s owned by the people who own Ross House B&B next door which has fishing and horseback riding. So if you go there for a visit, while you walk through the fields keep an eye out for my dad’s shoes. 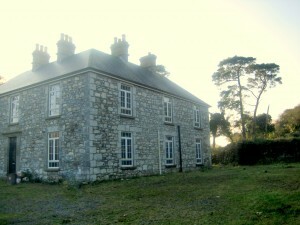 Have you traveled the shores of Lough Sheelin? 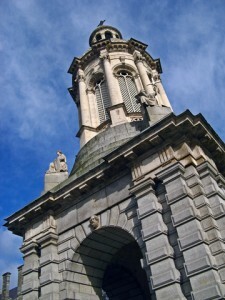 Visited other parts of Ireland? Do you have any advice or recommendations for our readers?